From the New York Times-bestselling author of The Sisterhood of the Traveling Pants and The Last Summer (of You and Me) comes an imaginative, inspired, magical book-a love story that lasts more than a lifetime. Daniel has spent centuries falling in love with the same girl. Life after life, crossing continents and dynasties, he and Sophia (despite her changing name and form) have been drawn together-and he remembers it all. Daniel has "the memory", the ability to recall past lives and recognize souls of those he's previously known. It is a gift and a curse. For all the times that he and Sophia have been drawn together throughout history, they have also been torn painfully, fatally, apart. A love always too short. 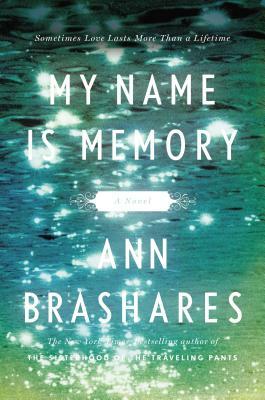 A magical, suspenseful, heartbreaking story of true love, My Name is Memory proves the power and endurance of a union that was meant to be. Ann Brashares is the author of the phenomenal five-million-copies-selling series of young adult novels, "The Sisterhood of the Traveling Pants, The Second Summer of the Sisterhood, Girls In Pants," and "Forever in Blue," and the "New York Times" bestselling adult novel "The Last Summer (of You and Me)."